Amazon, DeepMind/Google, Facebook, IBM and Microsoft announced yesterday that they will create a non-profit organization that will work to advance public understanding of artificial intelligence technologies and formulate best practices on the challenges and opportunities within the field. Academics, non-profits and specialists in policy and ethics will be invited to join the Board of the organization, named the Partnership on Artificial Intelligence to Benefit People and Society (Partnership on AI). Together, the organization’s members will conduct research, recommend best practices and publish research under an open license in areas such as ethics, fairness and inclusivity; transparency, privacy and interoperability; collaboration between people and AI systems; and the trustworthiness, reliability and robustness of the technology. It does not intend to lobby government or other policymaking bodies. The organization’s founding members will each contribute financial and research resources to the partnership and will share leadership with independent third-parties, including academics, user group advocates and industry domain experts. There will be equal representation of corporate and non-corporate members on the board of this new organization. 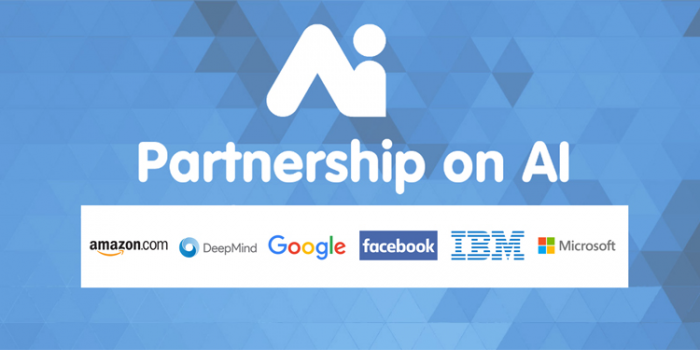 The Partnership is in discussions with professional and scientific organizations, such as the Association for the Advancement of Artificial Intelligence (AAAI), as well as non-profit research groups including the Allen Institute for Artificial Intelligence (AI2), and anticipates announcements regarding additional participants in the near future. AI technologies hold tremendous potential to improve many aspects of life, ranging from healthcare, education and manufacturing to home automation and transportation. Through rigorous research, the development of best practices and an open, transparent dialogue, the founding members of the Partnership on AI hope to maximize this potential and ensure it benefits as many people as possible. For more information, visit partnershiponai.org.